Mr. Buchman is the Executive Vice President of Asset Management for Ivy Realty and is directly responsible for the financial and operational performance of its portfolio. Prior to joining Ivy, Mr. Buchman was an Assistant Vice President of Leasing for Mack-Cali Realty Corporation responsible for the leasing of nearly 5 million square feet of its office and flex properties. In this capacity, Mr. Buchman adhered to a “Tenant First” policy always looking to maximize value while creating efficient workplaces and effective solutions to tenants. From 2012 to 2014, Mr. Buchman was Vice President of Property Management for Mack-Cali Realty Corporation responsible for all of the management and departmental oversight of their nearly 5 million square foot portfolio throughout Bergen and Passaic Counties. From 2006 to 2012, Mr. Buchman was a Sr. Leasing Property Manager for RREEF/Deutsche Bank Real Estate in Paramus, NJ followed by Sr. Real Estate Manager for CBRE where he had the responsibility for the leasing, asset, property and project management of RREEF’s Class A office product in NJ. From 2004 to 2006, Mr. Buchman was Director of Asset Management for Woodmont Properties where he also provided leasing, asset, property and project management services for their industrial, office and retail properties. 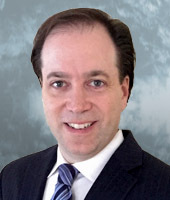 Prior to 2004, Mr. Buchman held the position of Vice President of Property Management for Reckson Associates in NJ.